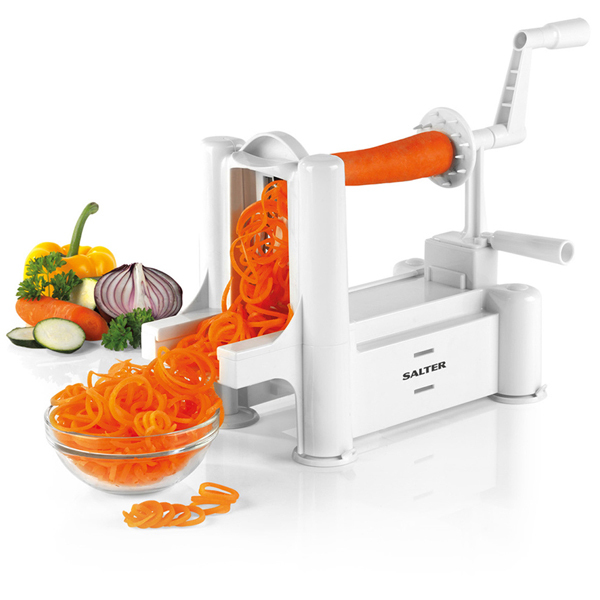 Try a new way of cooking with this Salter spiralizer with 3 included interchangeable stainless steel blades, so you can create curly noodles, spiral twists and pretty ribbons with your favourite fruit and vegetables. 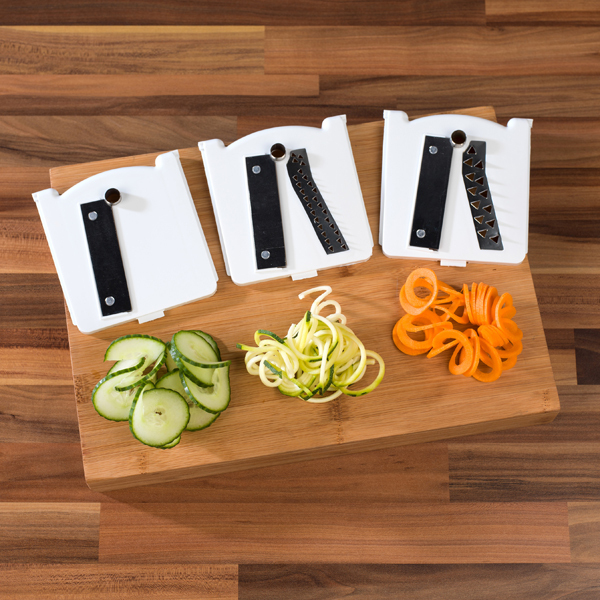 Select your blade and vegetable and secure them in place then turn the handle to create the spirals – the non-slip feet will keep it firmly in place for safe use. 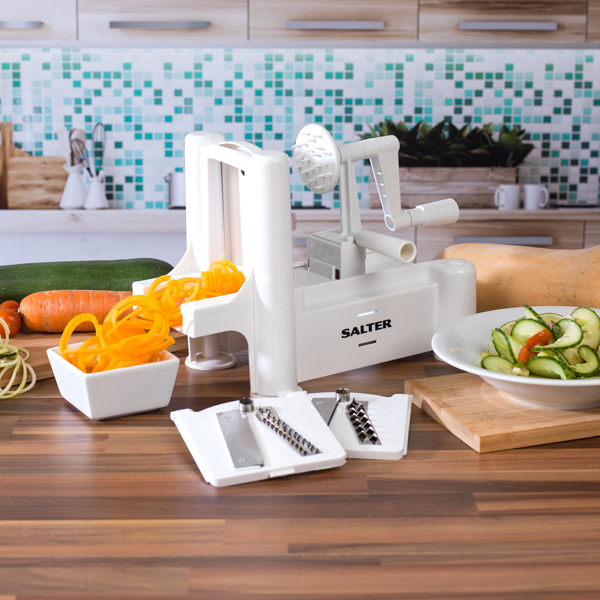 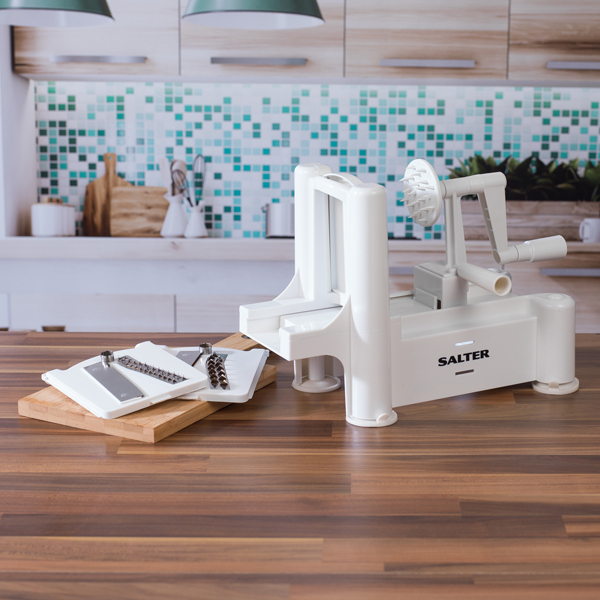 The Salter spiralizer is a fun way get kids involved in the cooking and to make healthier meals the whole family will love.